American Island Label is something you should read. This is a photo of a label or sticker from South Dakota Civilian Conservation Corps Camp American Island. It was donated to the CCC Museum of South Dakota on March 14, 2017. It has a few wrinkles and a fold but in good shape. Actual size is approximately 5 inches diameter. 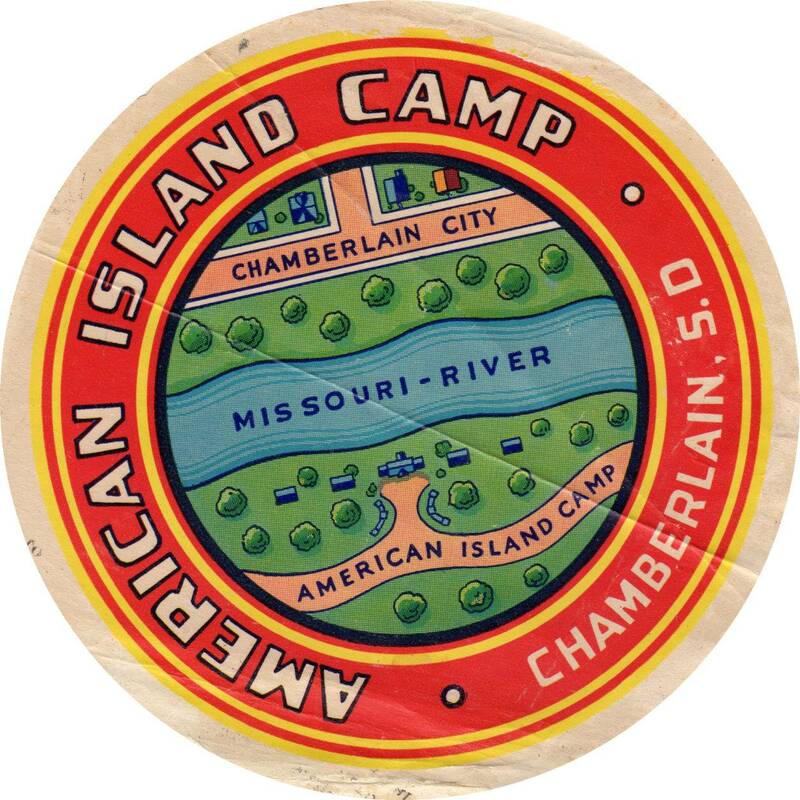 American Island camp label or logo sticker.